BerryLook Reviews: Shopping Experience, Is BerryLook.com Safe? 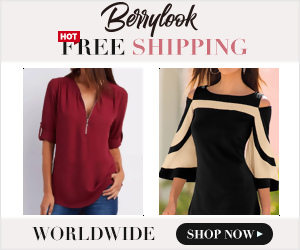 BerryLook.com offers dresses, tops, bottoms, swimwear and jewelry, etc. I ordered two pairs of shoes, that were too small; i contacted BerryLook and it took awhile for someone to email me back and when they did, they asked if I could donate the shoes and they can either send me a $10.00 cash or $12.00 credit. When I told them no, I paid $45.13,and wanted to return the shoes. I had to two more emails and they sent me this bogus La address and fax number and make it attention to Jimmy. I looked up the address and there is no relations to BerryLook..another company, which is no longer there..no LA phone number either. It is all a scam and they need to be banned! You know I am always skeptical of nasty (bad) reviews and in this case I was right. I read all these bad reviews after I made my purchase and these gals writing them had me anxious and worried. I am happy to say that I worried over nothing. It does bother me that I read any at all. Next time I won’t, and take my own chances. Read on for review . . . . The dresses I ordered looked EXACTLY like the pictures. The quality was excellent I ordered 4 dresses. Each one was very nice. I returned 2 of the dresses only because I desperately needed back zippers (one dress had a side zipper). I have trouble getting things over my head due to a neck injury/problem. I would have kept them if it weren’t for the issue with my neck. I contacted there customer service and I received an email from them the next day. I explained about dresses. They emailed me pictures of the dresses I purchased and asked which ones I was returning. I emailed them back with the info. Then I got an email from them the next day with the return shipping address and there preferred way to mail them back. After I went to the post office I emailed them the tracking number. The next day I got an email telling me how much I would be refunded. I love the dresses on Berrylook and the prices. 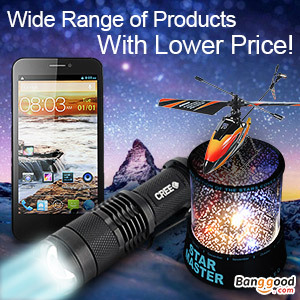 It was very easy and the customer service person was very nice and polite. They were a little backordered by about a week. So if you see something and want it by a particular date then order ahead of time. FYI You know I am always skeptical of nasty (bad) reviews and in this case I was right. I read all these bad reviews after I made my purchase and these gals writing them had me anxious and worried. I am happy to say that I worried over nothing. What bothers me now is that I read any at all. Next time I won’t, and take my own chances. order 2-14-2019 today 3-22-2019 NEVER RECEIVE IT ORDER # E 803340 & 732477 WHERE IS MY ITEM YOU SCAM ME I AM GOING TO GET ME LAWYER TO FILE TO BETTER BUSINESS ORG. I just received my order placed over two months ago. I ordered the black mid-calf boot. Very cheaply made. Misrepresents fabric, said COTTON but came in POLYESTER- – SO WRONG and they won’t pay for shipping returns when they are at fault with product. I do not recommend this web site. Extremely poor quality material. They ship from some cheap place in China It’s nothing like the picture. I had to return both dresses i purchased. You also have to pay for the initial shipping and return shipping. Usually most website you pay for initial shipping that’s one time but with this website you have to pay twice, even for your return. Extremely dissatisfied & disappointed. Great customer service is not very helpful either. First and last purchase from berrylook. It’s not worth your money. A wonderful learning experience, never ever buy from again. What you see is beautiful,what you ultimately receive,is not worthy of the Goodwill bin. Got my dress today after long wait, promptly saw it was hideous, not even suitable for my garbage can. Heaven forbid someone’s sees it.